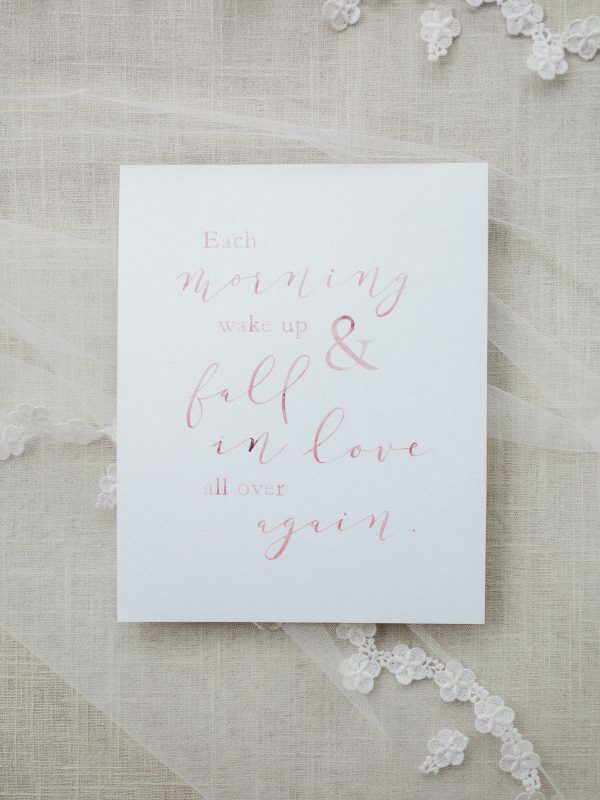 This original watercolor quote was inspired by the idea that each morning when you wake up, you both fall in love all over again. Printed on watercolor paper, 8×10 size and ready for framing or floating in a larger display. 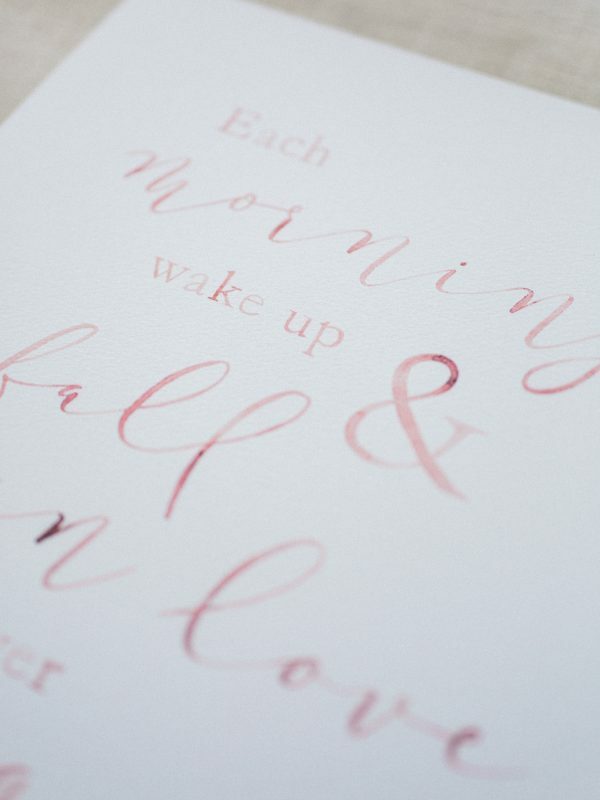 Created exclusively for The White Wren by Ten Acre Paper Co.